What are the Hyundai Maintenance Schedules? Following the recommended maintenance schedule for your new Hyundai model will help keep it running smoothly. Certain maintenance tasks should be completed based on what your car’s mileage is, and to help you determine what service you should schedule next, the team at Riverside Hyundai has provided a handy chart for you to reference for models like the Hyundai Santa Fe, Elantra, and Sonata. Learn more before visiting our Rome service center. Also, be sure to change your spark plugs at around 95,000 miles on your Elantra, Sonata, and Santa Fe models, and replace the coolant at the 120,000 mark. 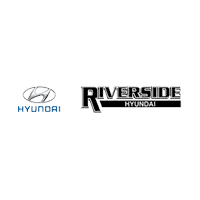 Turn to Riverside Hyundai for Quality Hyundai Service! These maintenance schedules are recommended for vehicles that experience normal driving conditions. If your daily Rockmart commute puts you through severe conditions, then you may need to complete these maintenance tasks sooner. Should you have any other questions about service for your Hyundai model, get in touch today or schedule a service appointment.